If you enjoy darkly humorous gritty thrillers, the reigning indie champ is Joe Konrath, whose hell-on-heels heroine, Homicide Detective Lt. Jacqueline "Jack" Daniels, can also provide some laugh-out-loud moments. 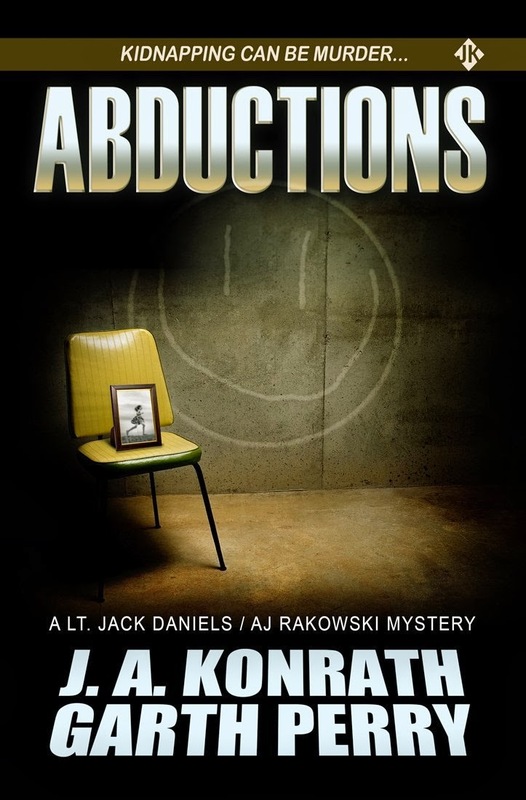 I'm excited to contribute two additions to the Jack Daniels corpus - and introduce my own quirky private investigator, psychic Ava Jane Rakowski - with the novellas Abductions and Beat Down. Here's the scoop. Abductions is a 10,000 word novella (about 35 pages) featuring JA Konrath's heroine Jacqueline "Jack" Daniels who is the star of more than 1 million books, and Garth Perry's new heroine AJ Rakowski. Features action, suspense, and a fair does of humor. Abductions is a 15,000 word novella (about 60 pages) featuring JA Konrath's heroine Jacqueline "Jack" Daniels who is the star of more than 1 million books, and Garth Perry's new heroine AJ Rakowski. Features action, suspense, and a fair does of humor. It's a stand-alone novella of about 13,000 words (45 pages) and features an episode from "Tremble Town," a small Appalachian community that harbors a deep - and evil - secret. 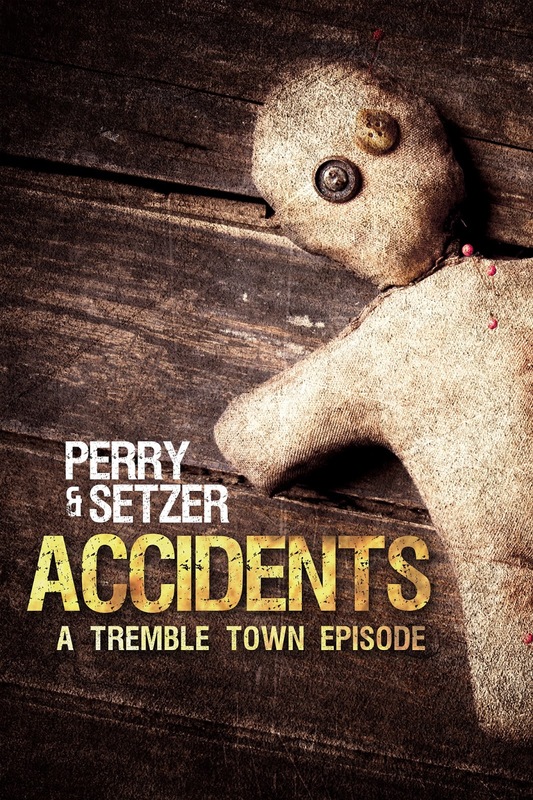 Here's the blurb and cover art. PI Ned Nbonivoy is up against a sinister psychopath who bestows random acts of havoc as part of a deadly game, leaving too many rabbit trails to follow. Ned needs someone who can help him focus. AJ Rakowski, a psychic detective, is just the kind of mentalist who can help. Rakowski has been using her paranormal abilities to close cases, though with each success comes unwanted attention. Ava Jane knows it goes with the territory. 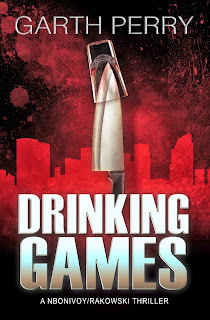 But when she captures the attention of a serial killer known only as Carlton, that's when the real game begins. Psychic Detective AJ Rakowski also appears in the short stories, Abductions and Beatings (available soon), which were written in collaboration with Joe Konrath and feature his iconic female homicide detective, Lieutenant Jack Daniels. 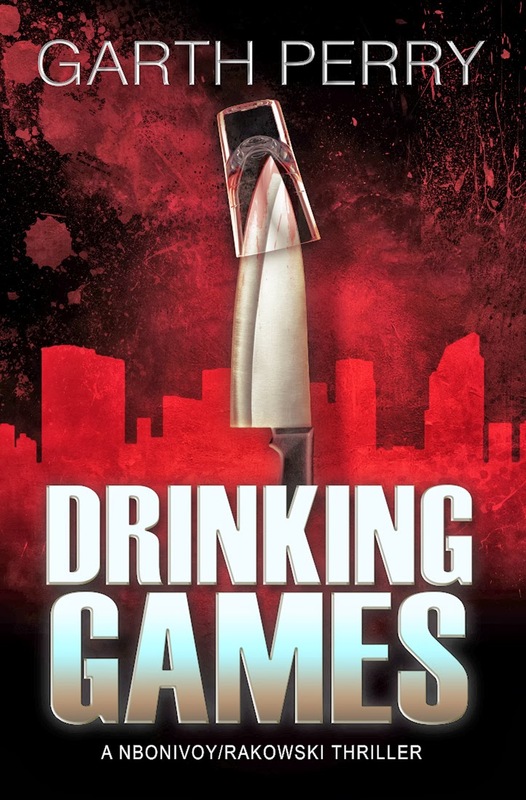 Drinking Games is approximately 13,000 words, or about 45 pages in paper. It is a short novella, not a novel. Although a stand alone story, it is part 1 of a 3 story arc. 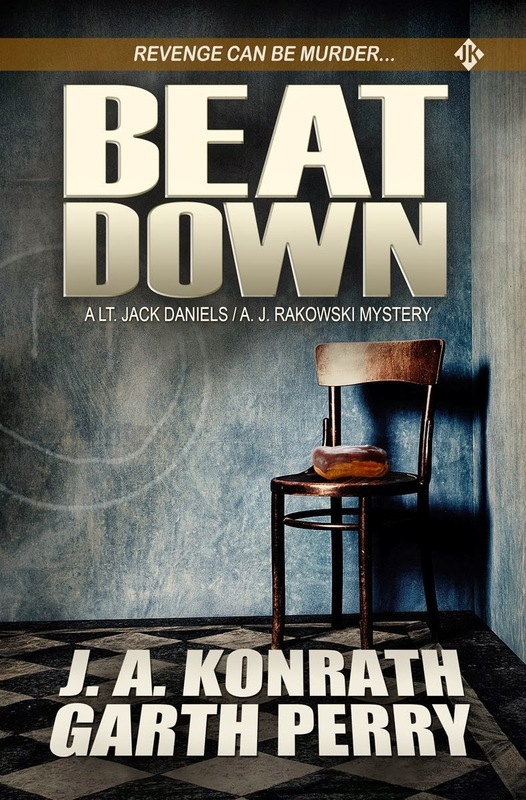 Psychic Detective AJ Rakowski also appears in the short stories, Abductions and Beatings (available soon), which were written in collaboration with Joe Konrath and feature his iconic female homicide detective, Lieutenant Jack Daniels. 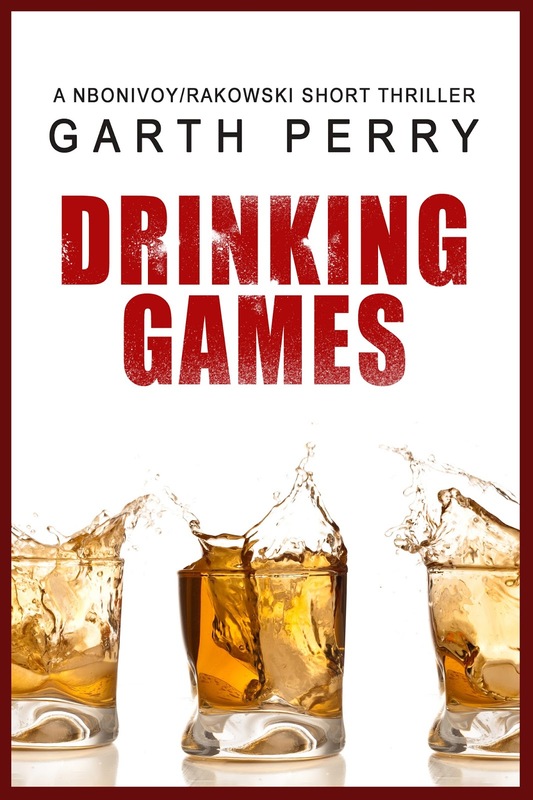 Drinking Games is available at Amazon and is approximately 13,000 words, or about 45 pages in paper. It is a short novella, not a novel. And although a stand alone story, it is part 1 of a 3 story arc. UPDATE: The new cover is by Carl Graves. I'm exited to introduce my latest heroine AJ Rakowski, Psychic Detective. Her first short thriller features Ned Nbonivoy, a PI in Detroit, who is stuck in a case he can't seem to solve. That's because he's up against a sinister psychopathic killer whose hobby is to bestow random acts of havoc on as many people as possible, leaving too many clues and rabbit trails to track down. Ned needs someone who can help him focus. AJ Rakowski is just the kind of mentalist who can help. Worm is now available as a slim paperback. Ebook version available here. Only 99 cents. Fiction isn't all fiction. Writers have to put some of themselves into their stories, otherwise it wouldn't be realistic. The story itself doesn't have to be autobiographical, of course, but something in the story has to come straight from real life. Could be the setting, a protag's personality, or simply a few details from the writer's past that add verisimilitude to the plot. As I'm writing Worm it's surprising how many personal memories surface and find their way into the text. Setting (1980s, small California farming town), personality (swimmer, big feet), details (playground fights, monkey bars). And although I never lived this story's theme of abuse and recovery, I find that writing about such issues taps my own reservoir of inadequacy, relational pain, and self-discovery. As for Stack, well, I'm not an ex-con nor a vigilante, but he's at mid-life, in a bit of a crisis career-wise, and that's definitely something I can draw on. Plus, he's had a religious experience and is hell-bent, albeit in his own stumbling, self-hating manner, to make good even if it kills him. Do I hear a witness? So while I'm not Worm, or Ned, or Stack, I'm finding glimpses of each of them in the mirror. Or maybe vice versa. Has this happened to you either as a writer or reader? Ever create or discover a character that reminds you of you? Did you know that Suzuki Hayabusa Sportbikes were not around in the early '80s? Well, duh. But in the name of specificity I mentioned that Jake, my antagonist (the same guy who - oops! pulled a gun from his belted underwear), rode a 1300. Okay, so quick lesson - check your facts, proof your work, and know what you are talking about. Or at least use Google. But some might wonder, why get so specific in the first place? Why not just put Jake on any ol' motorbike? Because I think specificity usually engages the reader and puts him or her into the story. It gives the mind something to grab on to. For example, a brand name (along with action and description) has more punch to it than a generic blah-di-dah. Which do you like better? "She drank her cola by herself." or "She siphoned her Coke alone in her closet." Plus, in the case of my novella Worm, a specific reference to Jake's Suzuki GSX 1100 helps establish the story's time setting. Of course, relentless branding or specific references can get old. You don't want to label every item in your story with a logo - someone might wonder if you're being paid for product placement. <grin> So pepper them throughout your story with a restrained hand. That way, when you do add a detail that has a specific image tied to it, the effect can be quite engaging, especially if used as a metaphor or in a simile. The class, as if watching a final kill shot on Pong, followed him to his desk. Specific, visual, and an era appropriate reference. At least I assume it is ... I better check Google. Thanks for stopping by. You've found my writing den, so pull up a chair and let's chat. Tell me about your projects, I'll tell you about mine - mostly thrillers, modern day suspense, a bit of crime and mystery. I hope you enjoy what I have to offer and if you do, I'd appreciate a review eventually and especially an email at garthperrywriter at gmail dot com. Looking forward to hearing from you. Swing by each week or so and I'll keep you updated on my progress. In the meantime, visit Tule Fog Press for information on available titles, release dates, and other news. Happy reading!